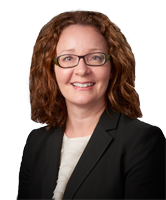 Lisa Miller, MD - Consulting Radiologists, Ltd.
Lisa Miller, MD is a part of the CRL teleradiology team. She received her undergraduate degree from the University of North Dakota (UND) in Grand Forks, ND. Dr. Miller then continued to receive her medical degree from UND’s School of Medicine. Dr. Miller completed two years of a General Surgery residency at Summa Healthcare in Akron, OH and then went on to complete a Diagnostic Radiology residency at The Cleveland Clinic Foundation in Cleveland, OH. After completing her residencies, Dr. Miller became a Trauma/Critical Care Radiology Fellow at the world-renowned R. Adams Cowley Shock Trauma Center at the University of Maryland. Dr. Miller stayed in the section of Trauma/ER Radiology at the University of Maryland after her fellowship and served as an Assistant Professor there. She received outstanding teaching awards both in 2008 and 2010. Dr. Miller is also an accomplished author and speaker. In her spare time, Dr. Miller enjoys traveling and states that her favorite trips are to Morocco and Tibet.